Have you tried cooking Korean food at home? 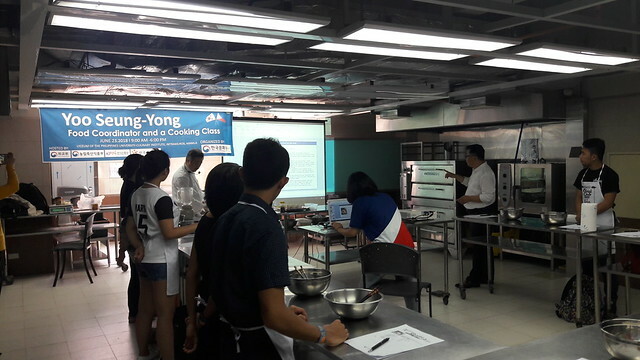 Well, most of our attendees for this year’s Global Taste of Korea cooking workshop haven’t tried yet. 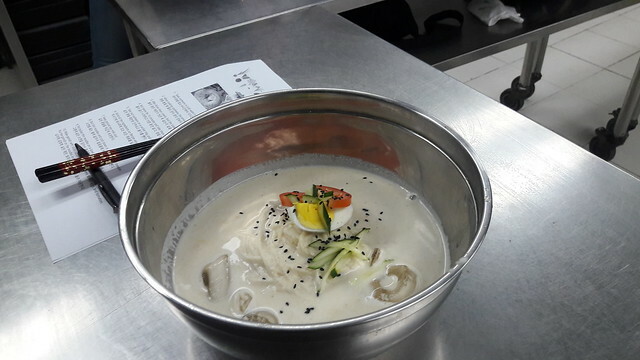 Thus, making this hands on cooking class a good start for their K-food journey! 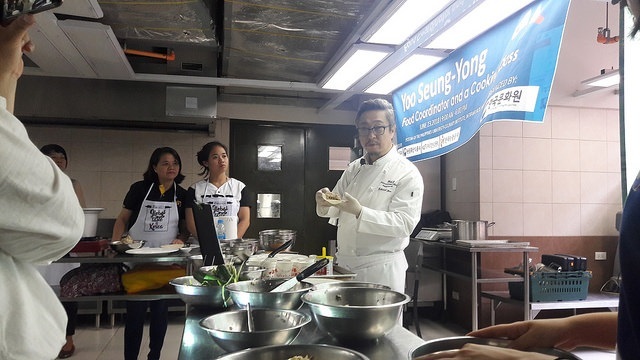 Chef Yoo Seung Yong, a hotel chef in South Korea came to the Philippines to handle this cooking class for GTOK 2018. A short introduction for the food that’ll be prepared and the ingredients incorporated has been introduced to the attendees through a presentation. For every class, each participant gets a copy of the recipe as well! 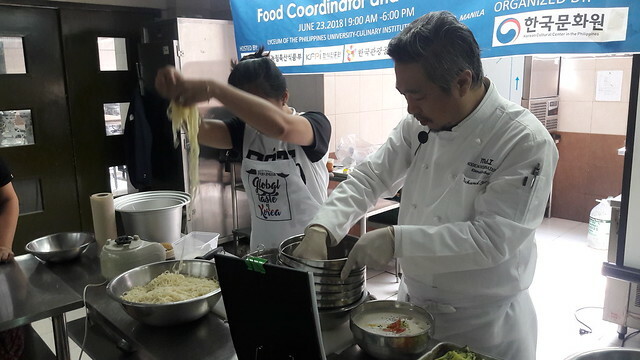 Right after, Chef Yoo started the demo for the Mandu (in the morning class), followed by the attendees creating their own Mandu! Ingredients were already mixed so the only thing that’s left to do is the wrapping. 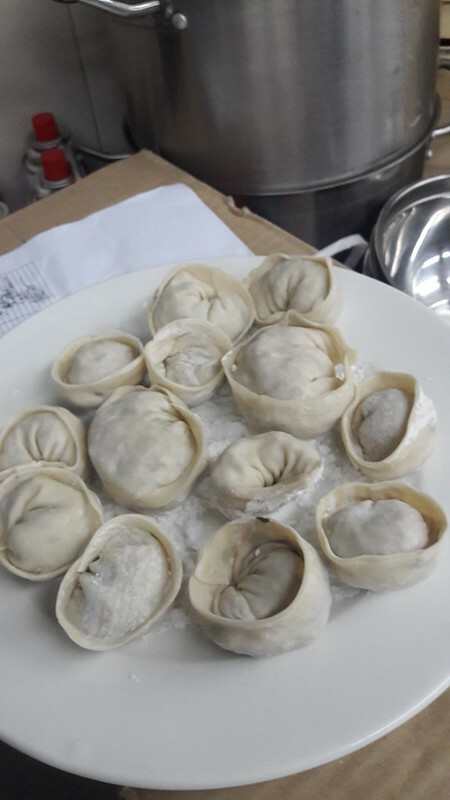 It actually looks easy to make but when we tried it, our works never looked like Mandu! The sizes differs a lot. It really taste like the ‘legit’ mandu I’ve been eating in Korean restaurants, the only difference is the visuals. Not too bad for a beginner anyway. Instead of steaming, we had it boiled for just a few minutes due to time constraint. I don’t really see any difference at all with the taste so I think it’s really nice to do it at home. 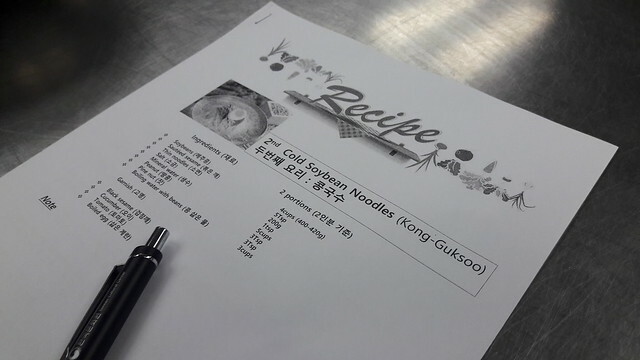 For the afternoon class, Kong Guksoo or Cold Soybean noodles were made. I initially thought that it’s the same as ‘naengmyeon’ but it was explained to me that it has a huge difference in terms of the soup and the noodles itself. I also learned that they put ice on the noodles so it wouldn’t be saggy when served. Putting ice on the noodles lessens the heat on the cooked noodles. And guess what? there’s even a proper way to serve and decorate the noodles. That’s the secret that I have to keep together with the attendees! Here’s a sample from a friend! The garnishing includes a portion of a hard boiled egg, tomato slice, cucumber strips topped off with some black sesame seeds! The soup is composed of soybeans, toasted sesame and peanuts, crushed, blended together and boiled once again. The soup was actually prepared by us so I am quite proud of it! As for the taste, I can’t really differentiate it with any noodle soup I’ve tried in the Philippines since we don’t really use soybeans and peanuts together so I suggest you try cooking this one at home or buy one at a Korean restaurant. They said it’s best during summer.